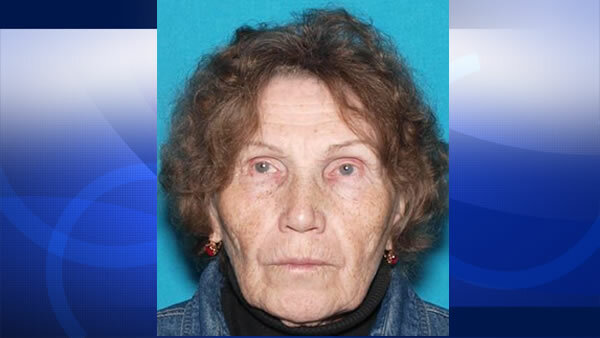 WALNUT CREEK, Calif. (KGO) -- A Silver Alert has been activated for 74-year-old Valentina Matyushina, last seen on Friday at her home in Walnut Creek. Matyushina has gray-brown hair, blue eyes and stands at approximately 4 feet 11 inches tall. She speaks only Russian. Matyushina is believed to be wearing a gray long sleeve t-shirt, dark colored athletic pants with three white lines down the sides and brown open-back slippers. Police say she walked away from her house carrying a red fleece jacket and a white-black-pink floral robe. If you've seen Matyushina, please contact the Walnut Creek Police Department at (925) 943-5844.